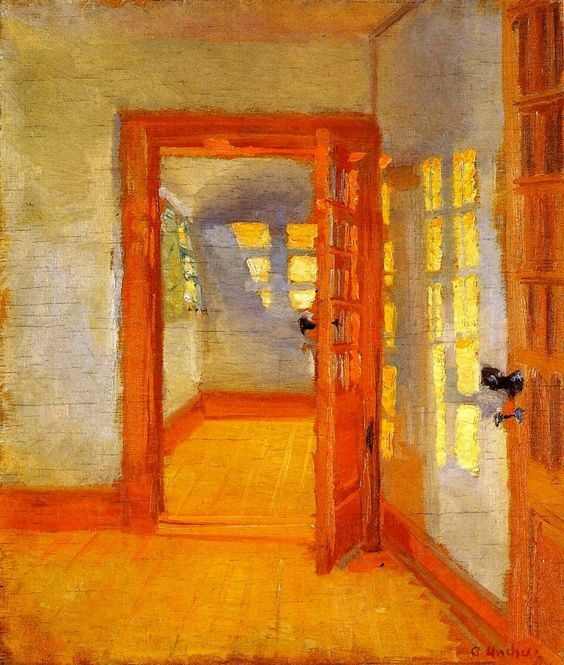 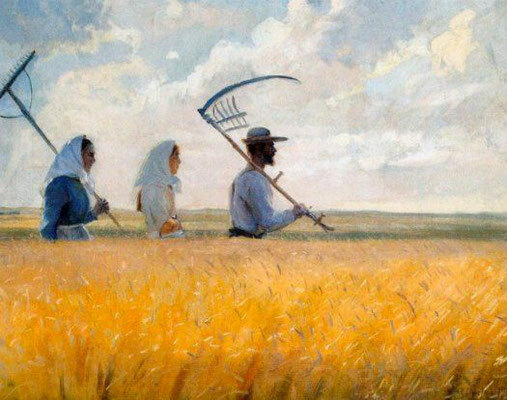 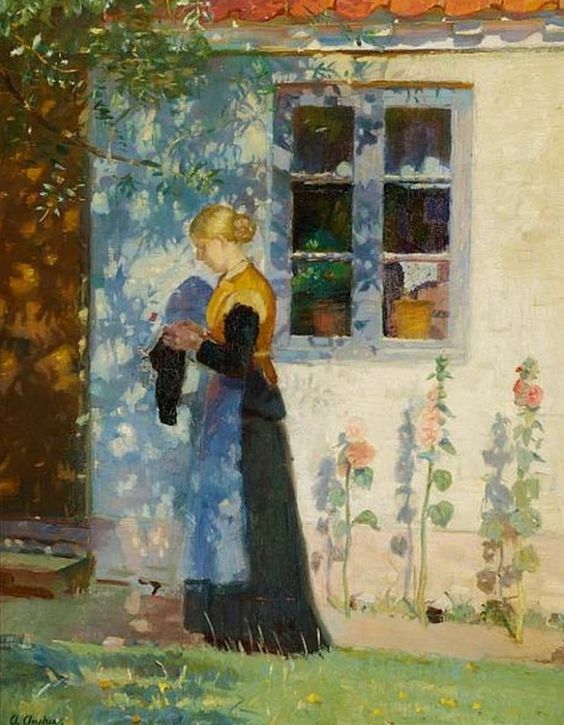 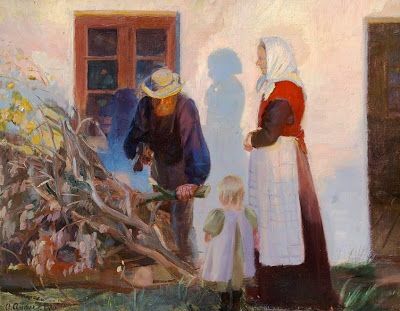 Anna Ancher (1859-1935) was a Danish painter, married to another painter called Michael Ancher. 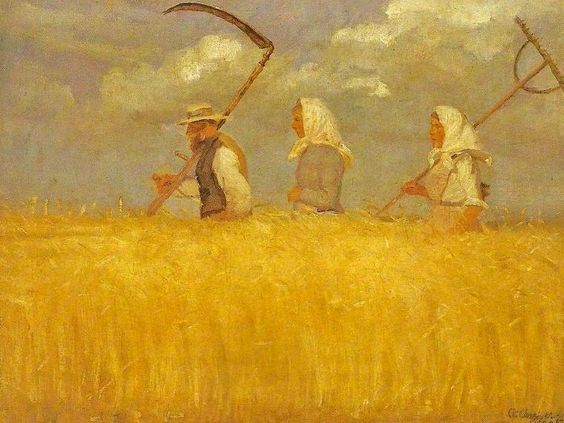 Why, for instance, did she paint the harvesters twice, from both sides? 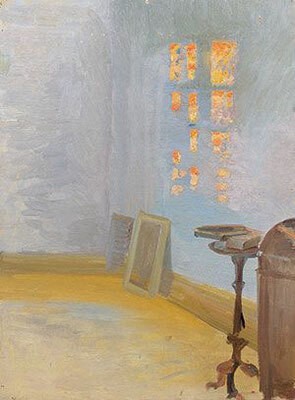 And I love the empty interiors with the lightfall, and the use of shadows in the works on the lower left and right.